***EDITOR'S NOTE: This list may have changed by the time you're reading this. For updates, check out Ballotpedia. It seems like 2016 was a million years ago, back when Trump was first elected as President of the United States. And as the past few years have seemed to fly by, presidential hopefuls have started announcing their candidacy for the 2020 election. Experts have predicted that this election will more than likely be very politically charged-even more so than the 2016 election. With our country divided now more than ever, this should be a very, very intense election cycle. While more candidates will announce their runs in the upcoming months, expect to see some more Republicans possibly challenge President Trump. As for Democrats? The party is angry and very diverse, with a slew of different candidates putting their name in the hat. Moderates and Independents are also showing strong numbers hoping to win the 37 percent of Americans who identify as Independents and those of the other party members who are on the fence. The current President officially announced his bid for a second term and is coming out swinging. Keep checking his Twitter for what he thinks of “all of these liberals” running for President. Trump has a very viable shot at reelection in 2020. This man is actually the jack of all trades (and has an awesome last name). He was a geologist, brewery owner, mayor of Denver and most recently governor of Colorado. Hickenlooper wants to bring a focus back to Democratic policy, is strong on gun-control and considers himself a “progressive” moderate for the most part. Inslee is a second term governor of Washington and is most well-known for when he sued Trump’s infamous travel ban. His absolute main focus and concern is climate change. It is the center of his campaign and Bill Nye was even in his announcement video (so brownie points for him). We all know good ol’ Bernie. Sanders finished runner up in the 2016 Democratic primary and is back for more. He’s the current Vermont senator and is self-described as a democratic socialist. Sanders is just as passionate as he was in 2016 and looks to redistribute wealth, fight inequality and create a bigger “social-safety” net. 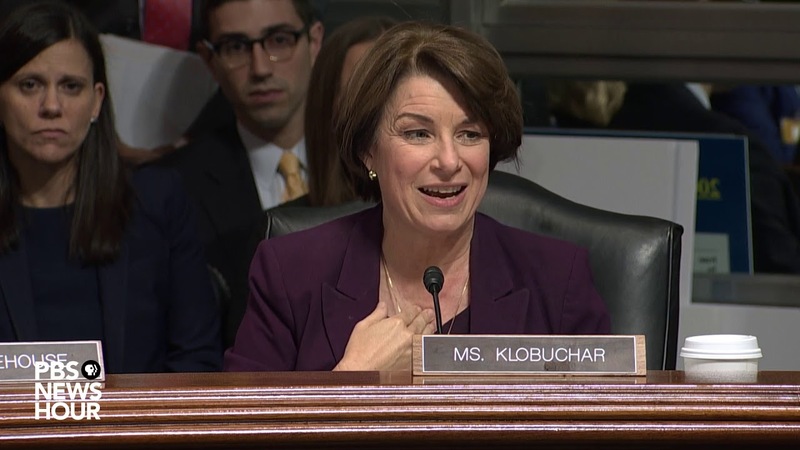 Klobucar has been a Minnesota senator for over 10 years now and is praised for being able to work well with both parties (We love to hear this!). She showed her midwestern/bad*ss roots when she announced her candidacy in a full-blown snowstorm. Klobuchar is a “heartland Democrat” (progressive, but not aggressively so). She has a decent chance at winning the nomination, especially after she boosted her profile with her little exchange with Justice Brett Kavanaugh. Warren is a current Massachusetts senator and was previously a professor at Harvard Law School, she’s even written a book on middle-class incomes. She’s a pretty smart cookie. Trump has said that Warren is the only “credible” threat to his reelection so far. Warren has two main focuses: inequality and the economy. 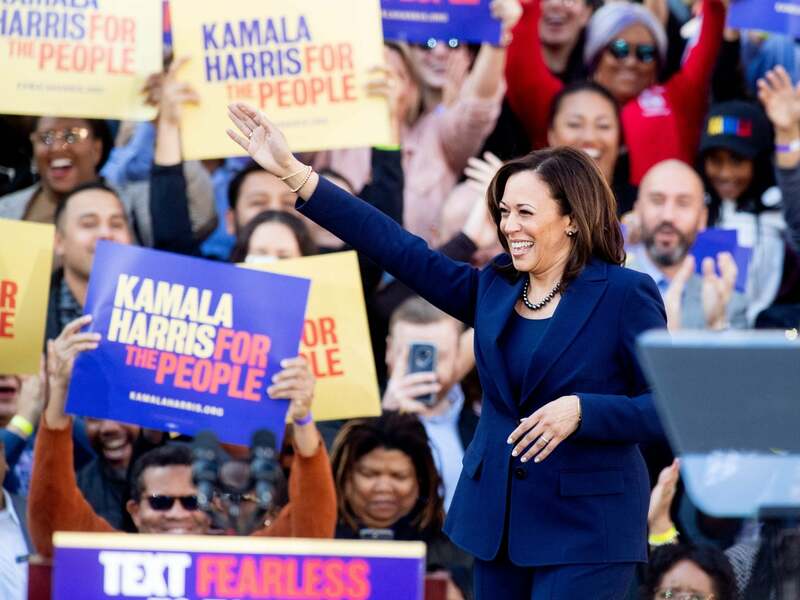 Once California’s attorney general, Harris is now the first-ever elected senator of Indian or Jamaican descent. She has a good political face with a wide variety of mainstream Democrats and has a reputation for standing up to injustices. The once mayor of San Antonio, Texas, and former secretary of housing and urban development under Obama from 2014-2017 announced his candidacy pretty early on in January. Castro is a “Democrat Darling” and was highly considered for Hillary Clinton’s VP in 2016. He’s a very high profile Latino Democrat and is the grandson of immigrants, so more than likely, this will be a big focus for him in his campaign. Another fun fact? He’s got a twin brother who is a Texas congressman and once filled in for Castro during a parade route… no one seemed to notice the difference. Former four-term congressmen from Maryland, Delaney is not very well-known. Surprisingly, he announced his run back in June 2017 (yes,you read that right). He’s a centrist and has pretty classic Democratic views on things like veterans, jobs and immigration. Delaney strongly believes change will only happen if there is a unifier in office and he claims he can be that unifier. She’s a US house representative from Hawaii since 2013, served in Iraq and if elected would be the first Hindu president. Gabbard’s main focus is a noninterventionist approach to foreign policy. However, her campaign is off to a bit of a rocky start, especially after she had to apologize for past anti-gay comments and is known for a weirdly friendly stance on Syria’s president Bashar al-Assad. Let’s just start off by saying, Yang, as president is a long shot. He is a tech entrepreneur that created a test-prep company called Manhattan Prep and works to help start-ups outside of New York. He quietly filed to run way back in November 2017. His big idea is to have $1000 per month of “universal basic income” for every American adult. Finally, a non-politician. Williamson is an inspirational author and speaker (you probably recognize: “Our biggest fear is not that we are inadequate. Our biggest, deepest fear is that we are powerful beyond measure.”). She also is known as Oprah’s spiritual guru. Williamson wants to lean away towards traditional politicians and provide America with a moral and spiritual awakening. 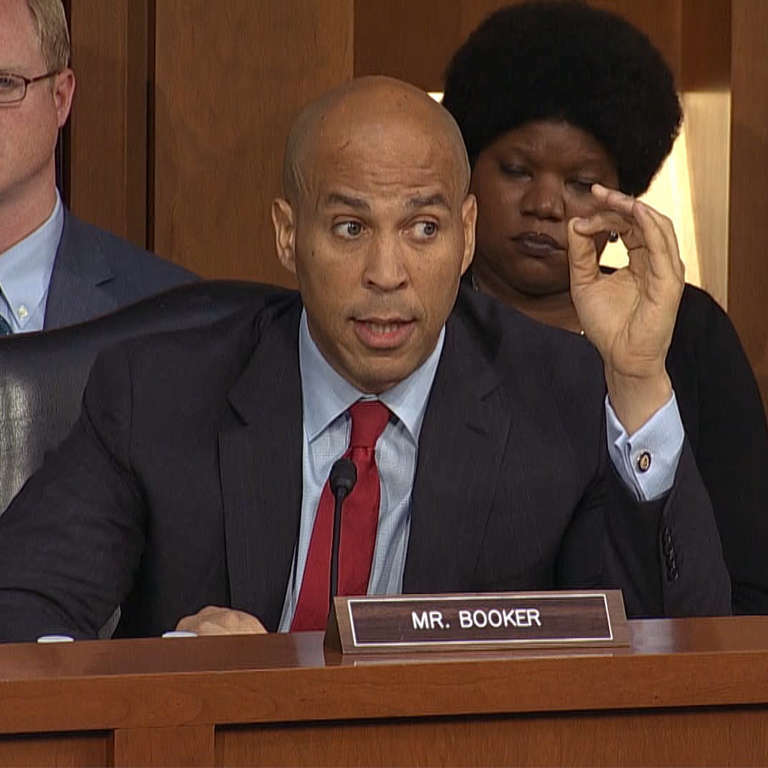 Well known on social media, Booker is a senator from New Jersey and was once mayor of Newark, New Jersey. He is big on criminal-justice reform and liberalization of marijuana. He supports Medicare for All and his big word for his campaign is “together”. People are attracted to him for his “Obama-style uplift and inspiration” and ability to attract voters of all kinds. An overnight sensation it seems like, Beto has made it onto the national political stage. Due partially for his strong social media presence and appeal to young millennials and gen Z-ers. O'Rourke is a former U.S. representative from Texas. 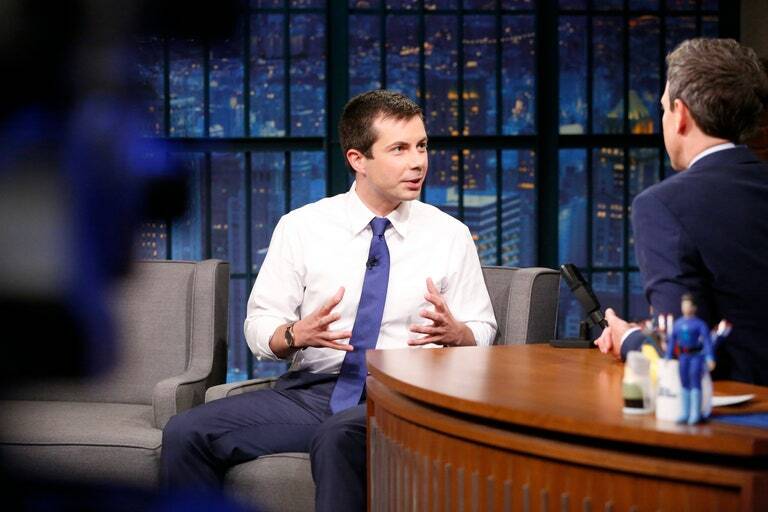 A young 37, this mayor of South Bend, Indiana, is stepping onto the national stage. He was elected as mayor at 29 (one of the youngest in history) and would be the first openly gay candidate for president in 2020. He really just wants a fresh start for the county and his exploratory committee is hard at work. 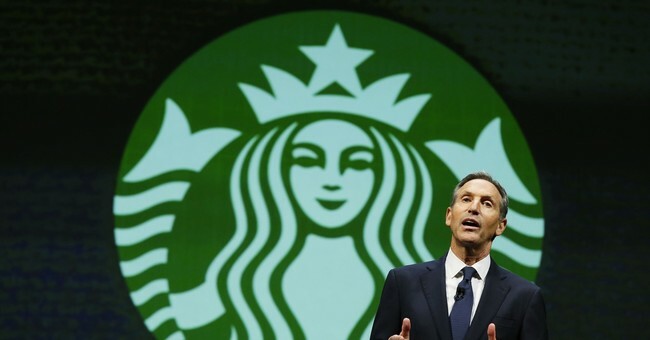 The Former CEO of Starbucks is currently exploring the idea, but recently received a wave of backlash to his candidacy and his advisor announced an official decision won’t be made until mid-2019. The former governor of Massachusetts is looking to challenge Trump in 2020. 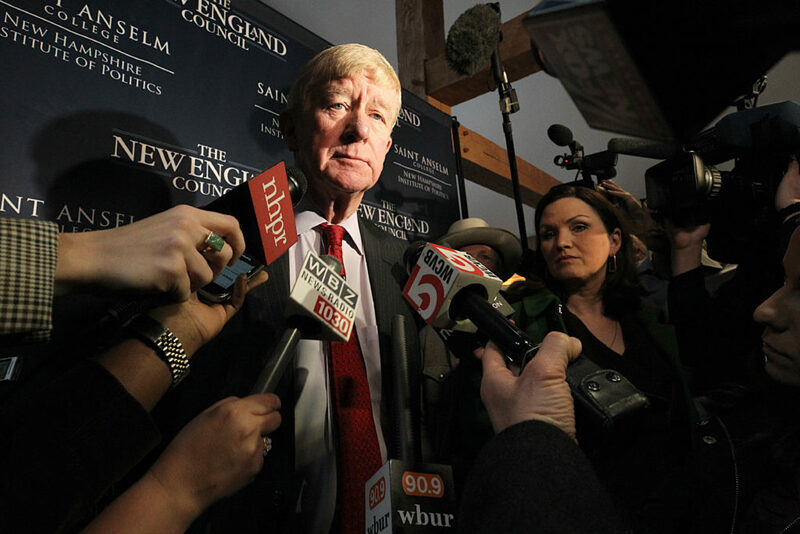 Weld wants to get back to the true roots of Republican to get the party back on track. So far, Weld’s run seems to be more of a protest against Trump than a plausible threat and bid for the candidacy. Biden, a favorite among internet memes and BFF to Obama is rumored to be about “95 percent” in regards to a Presidential run. The former VP has a very respected voice when comes to cancer care and prevention, sexual assault and bipartisanship. He also has received the Presidential Medal of Freedom for his work while in office. Audrey is a junior at West Virginia University majoring in Elementary Education and plays Division 1 volleyball for the Mountaineers. Enjoys weekend Netflix binge sessions, petting all the dogs, and working with children.